We are confident that you’ll love our product. 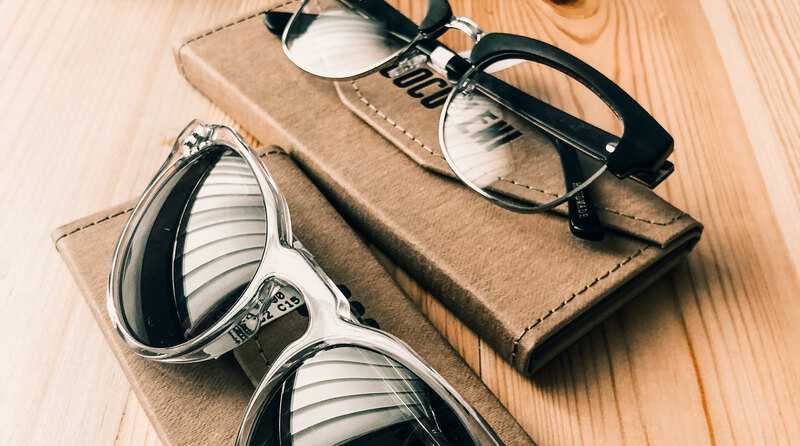 However, if for some reason you’re not completely satisfied with your glasses within the first 90 days of receipt of your item, you are entitled to a “no questions asked” return for a 100% store credit or refund of your item minus a 25% customization fee. COCOLENI.com will not refund the difference if the exchange pair is of lesser value than the item returned. Refunds will be returned via the same method of payment used to order the product (credit card, debit card, PayPal, etc.). Please allow up to 30 days for the credit to appear in your account. Each order is entitled to a one time no questions asked exchange within 90 days of purchase. Future orders or exchanges placed using a store credit or an exchange code will not be eligible for another exchange. These orders will only be covered with respect to manufacturing defects and not breakage. Store Credit once used will not be refunded. Within the first 10 years of ownership, if you experience a manufacturing defect in materials or workmanship, COCO LENI warrants your frames and we will repair or replace the product at no charge. This warranty is five times longer than any other premium eyewear maker. COCO LENI has sole discretion to determine manufacturer’s defects. Lenses are not covered under the 10 year warranty policy. However, lenses are covered by our 1 year scratch guarantee. Since eventual wear and tear can be expected, reasonable repair charges will be levied if repairs are necessary as a result of normal wear, accidental damage, misuse or any other problems determined not to be defects. A repair fee, if applicable, will be quoted prior claim processing. This warranty extends only to the original purchaser and cannot be transferred. Lens replacement cannot be refunded. Replacement is the only option. This because the lens is not only made to your prescription but also to your frame shape. It is a fully custom job. 50% of the original lens cost will be issued towards a replacement pair of lenses.